I just picked up the May-June issue of New England Home. It’s one of my favorite magazines to get some great decorating ideas for both the interior and exterior of your condo or house. I especially love this room! 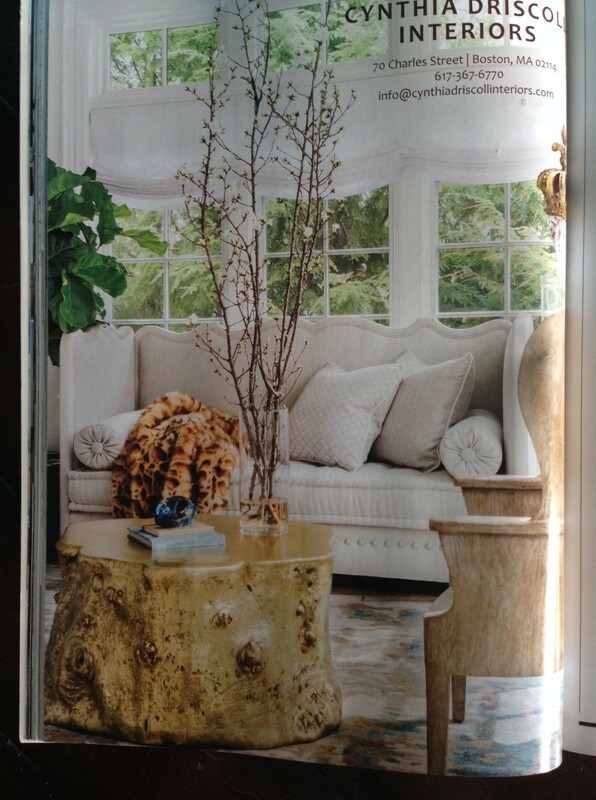 The gold tree trunk table is an amazing piece that can be used in any type of sitting room or champagne room, like the one you are seeing here. The window treatments work perfectly in this room as well. The sunlight radiants throughout the room to give it a warm and spacious feel. I have always loved neutral colors, such as those used on the couch. And the fur is my favorite! This room is unbelievable!